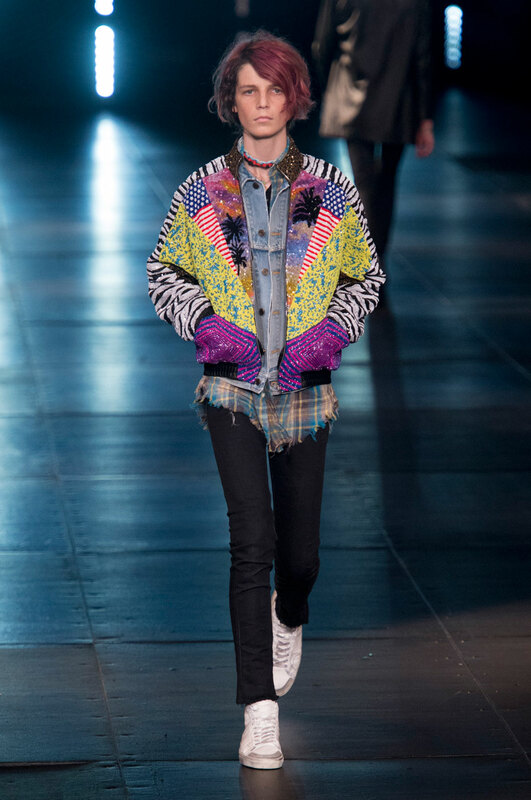 The show was refreshing; it was fun, it was creative and it was eccentric. 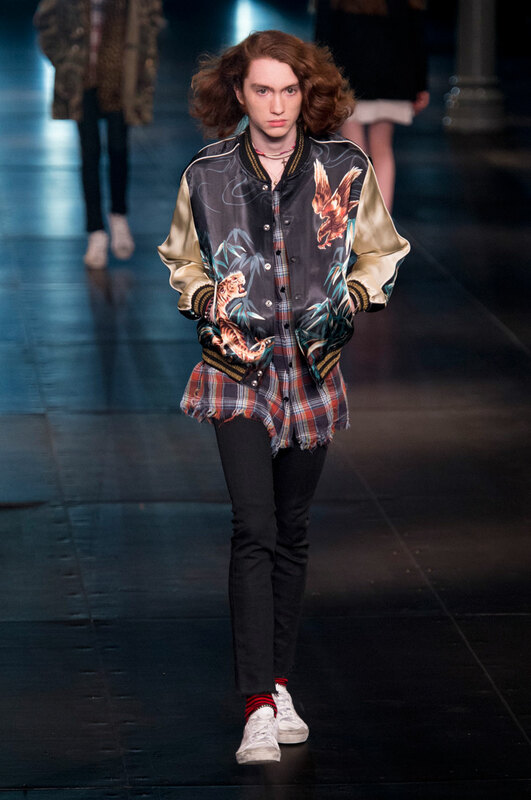 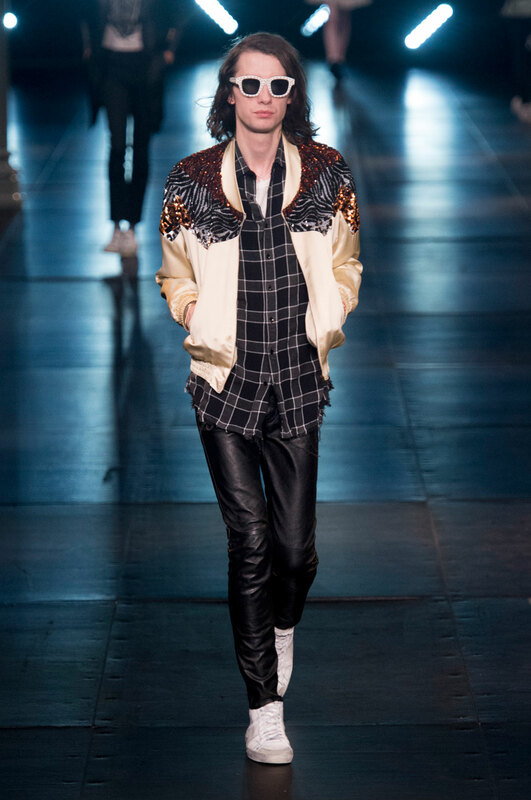 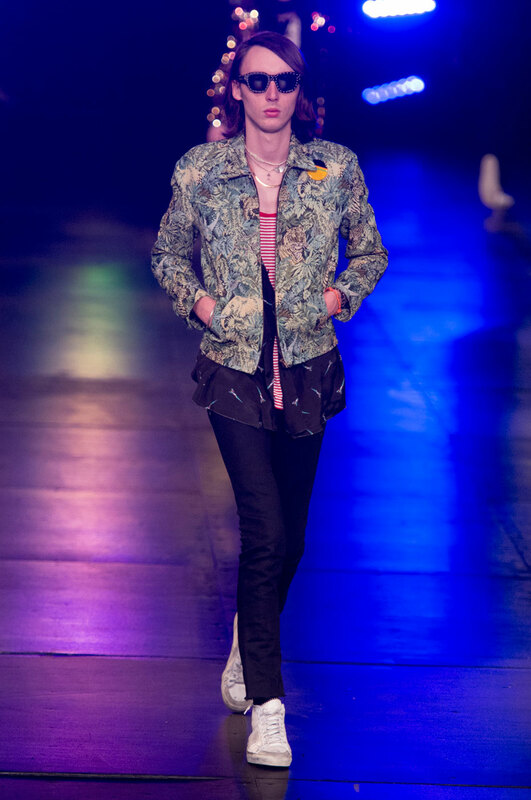 The show compounded the creative talents of the designer and his team of experts to the highest caliber. 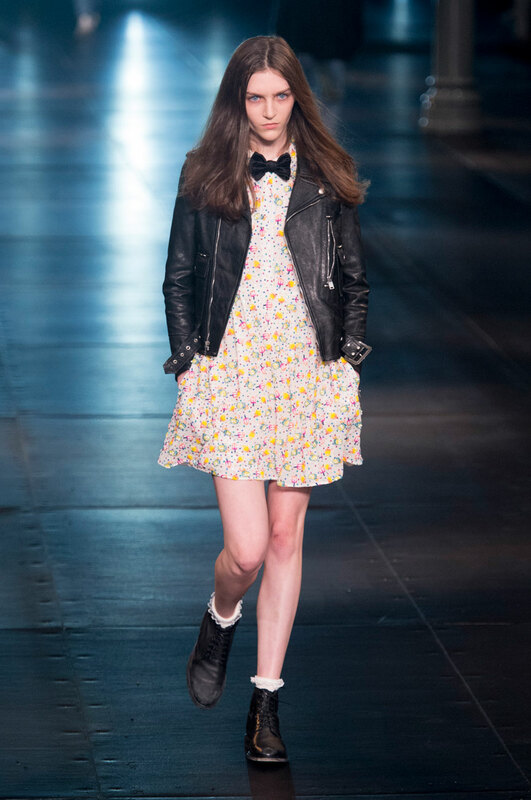 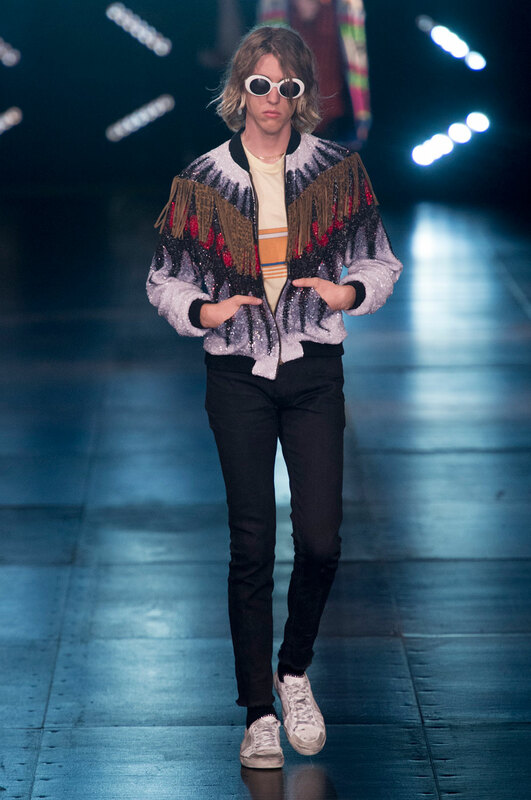 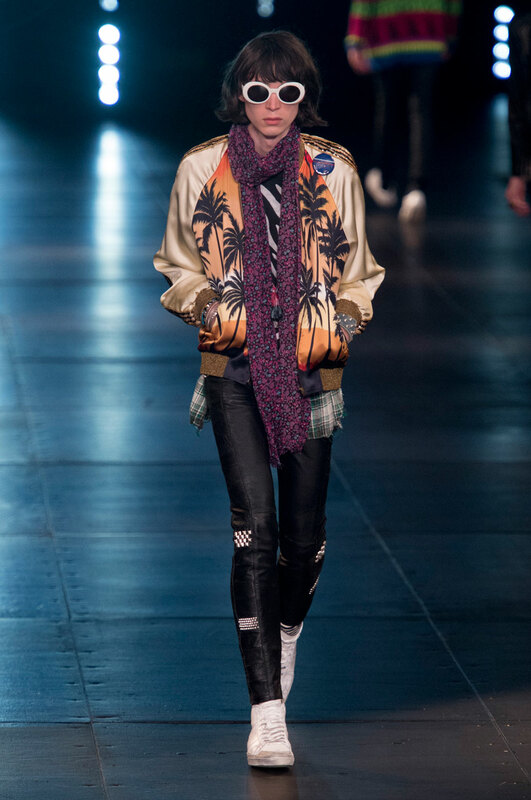 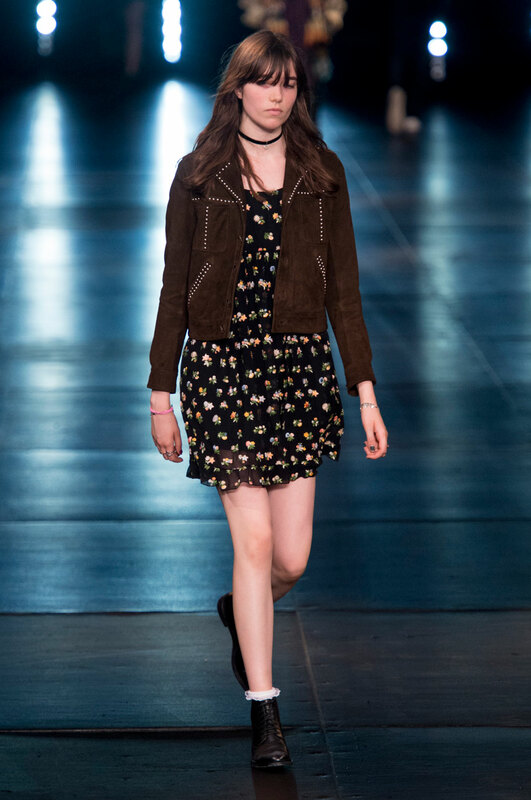 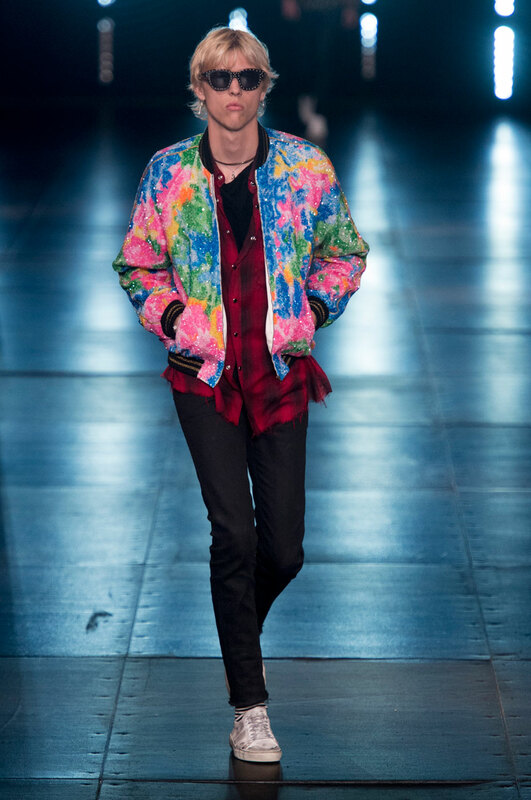 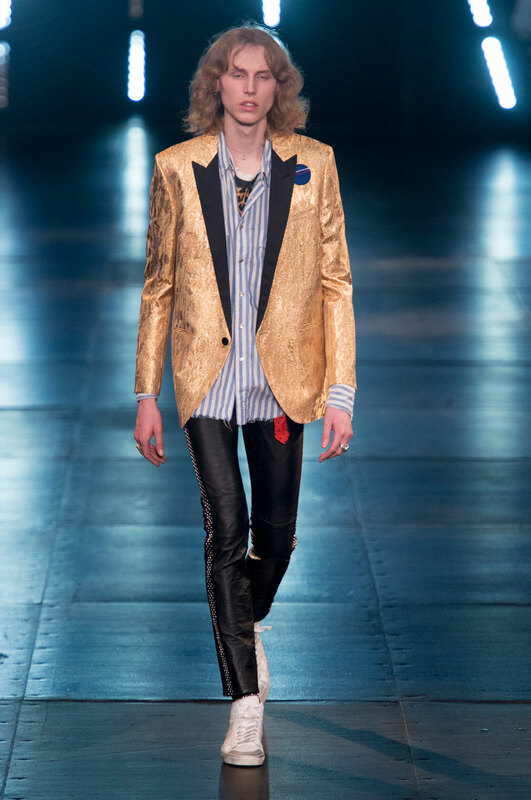 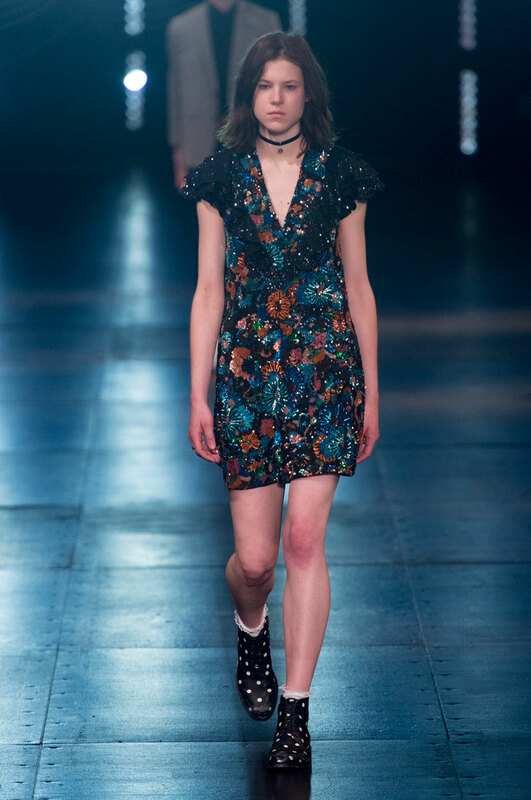 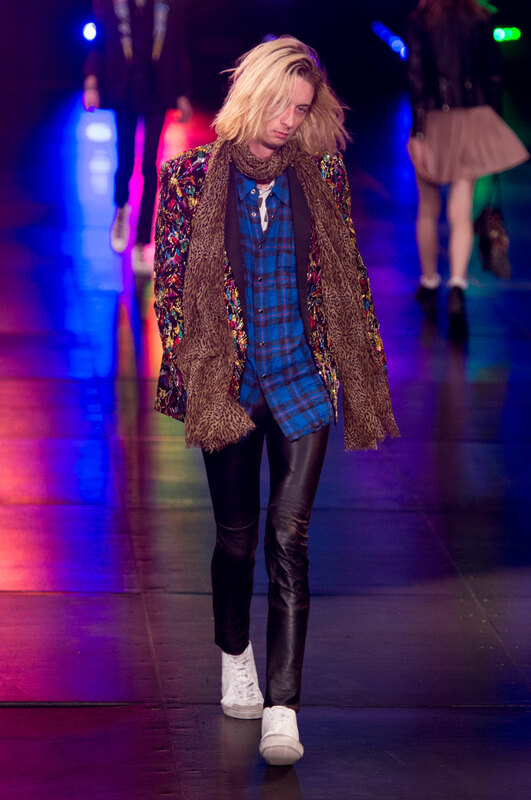 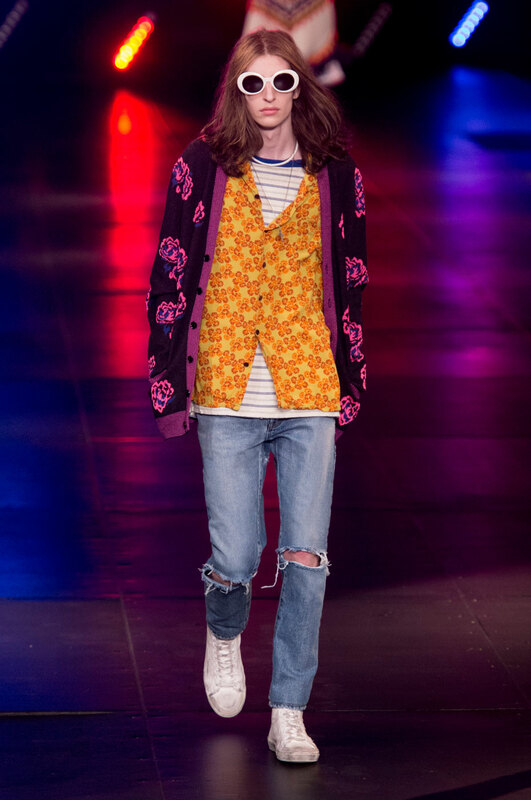 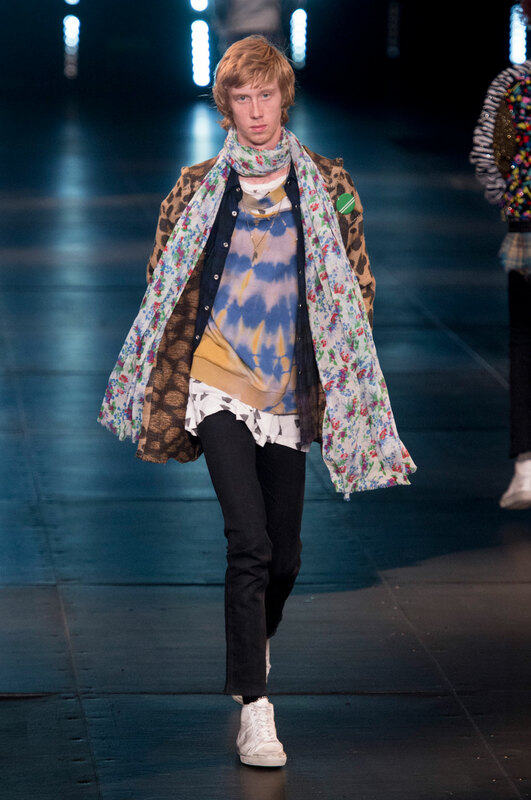 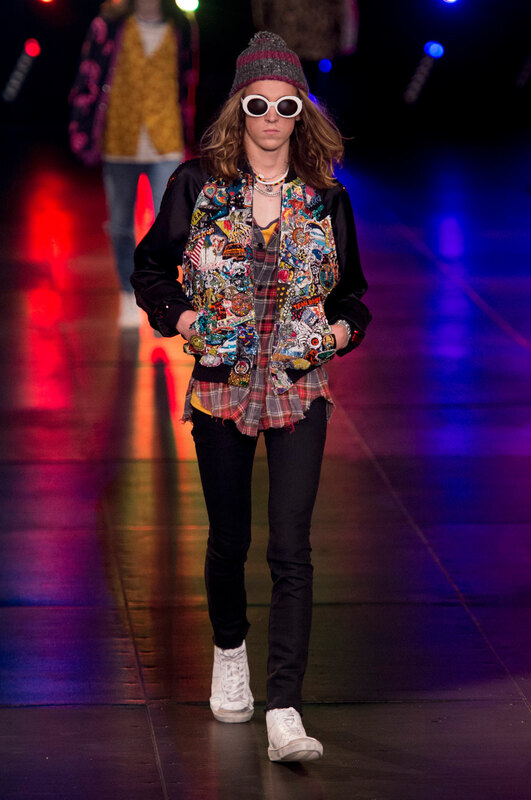 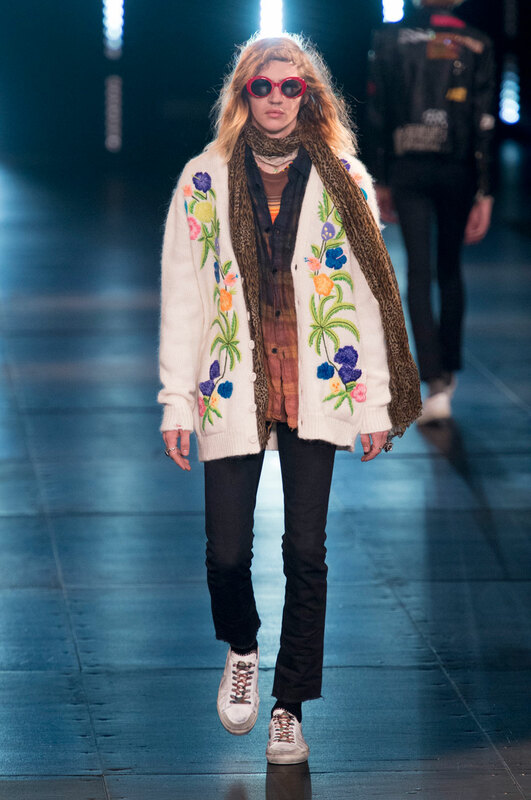 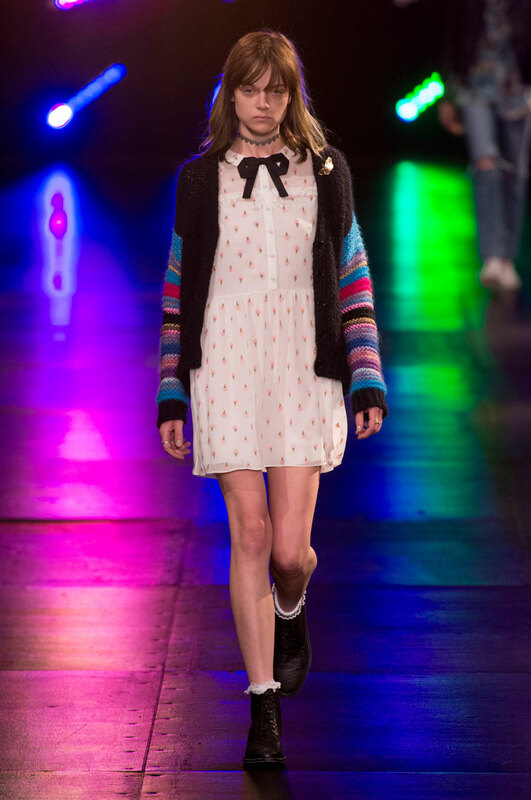 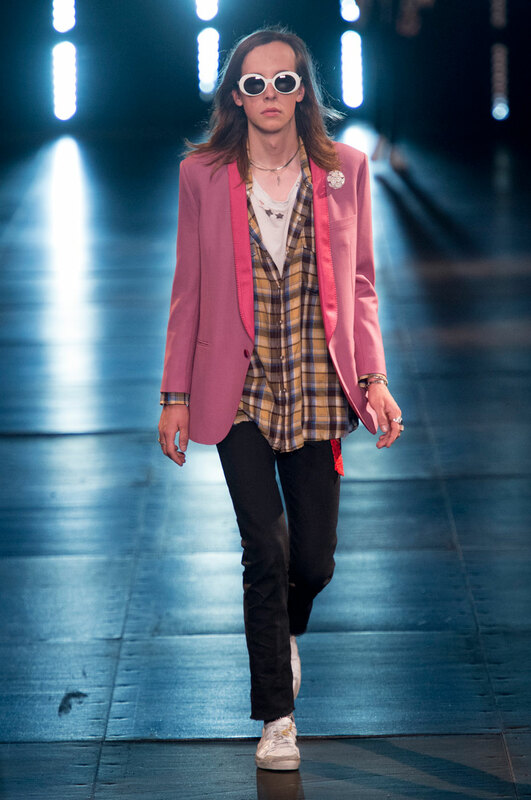 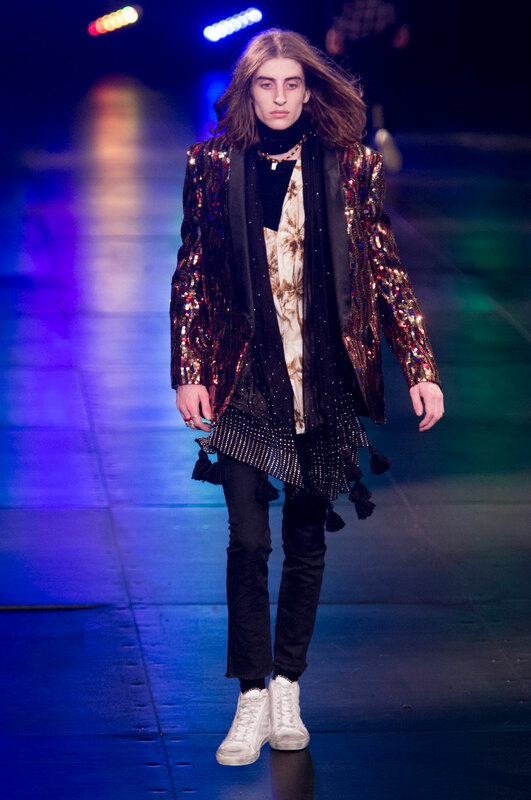 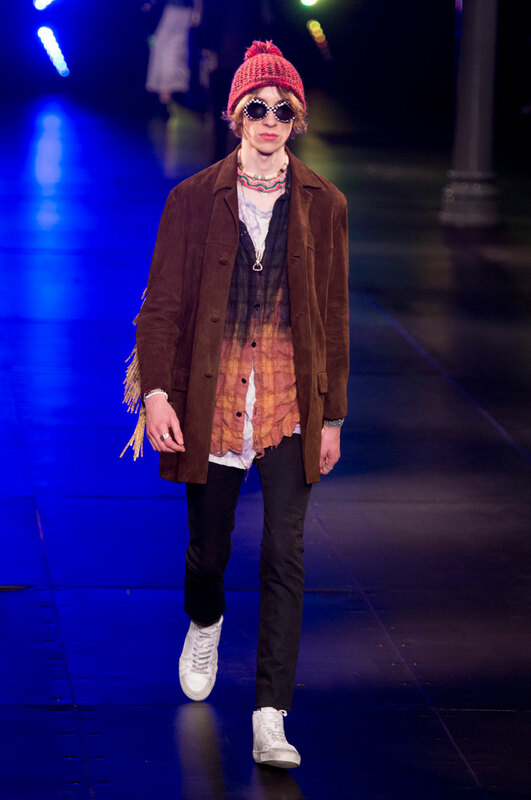 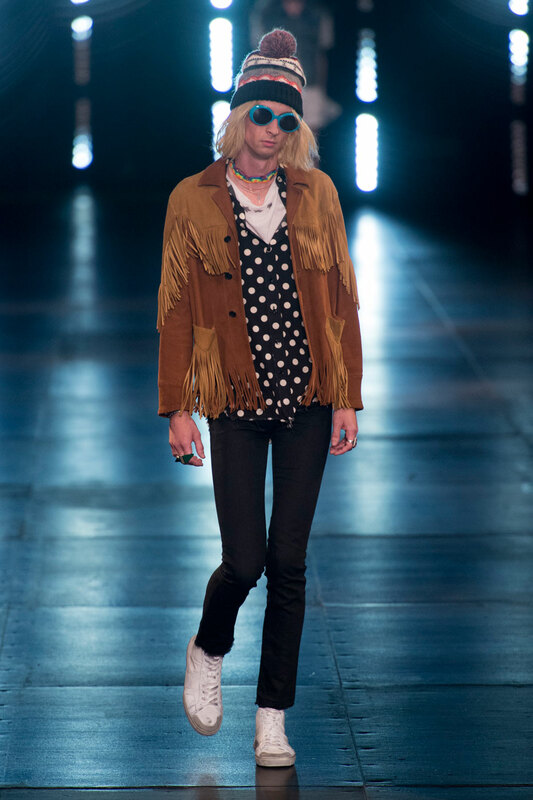 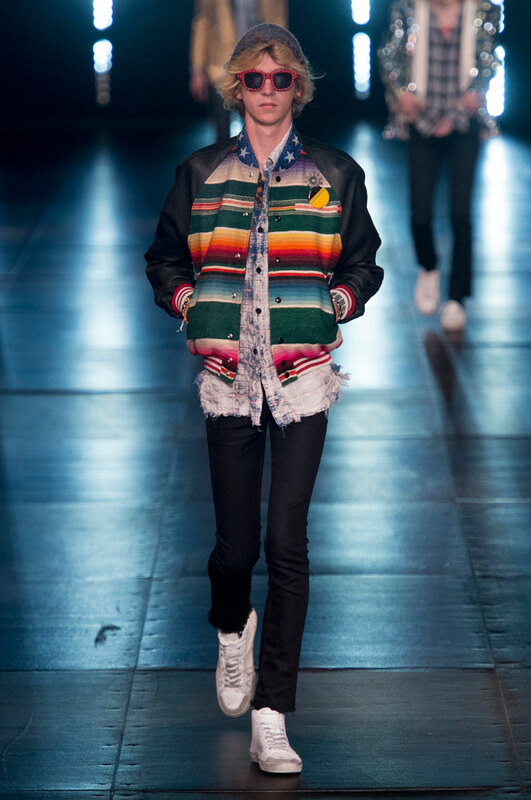 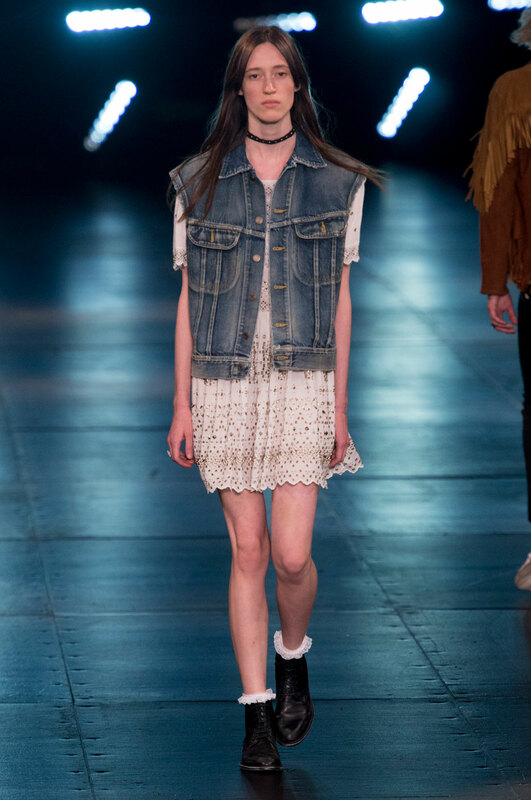 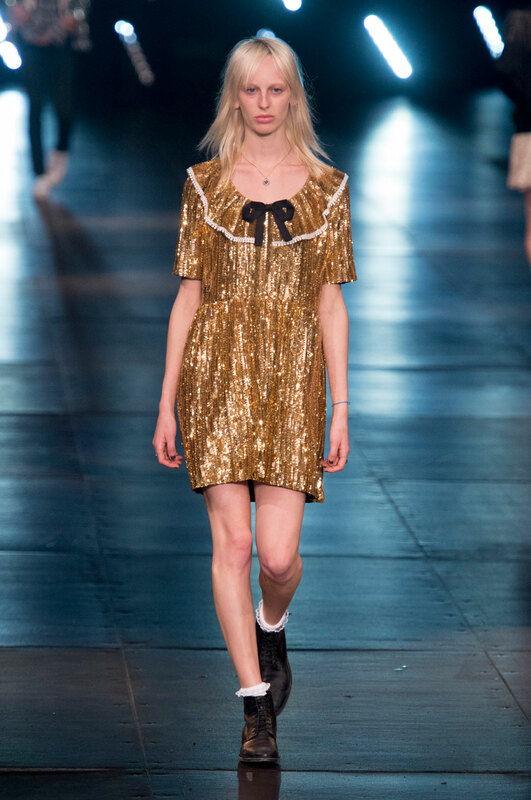 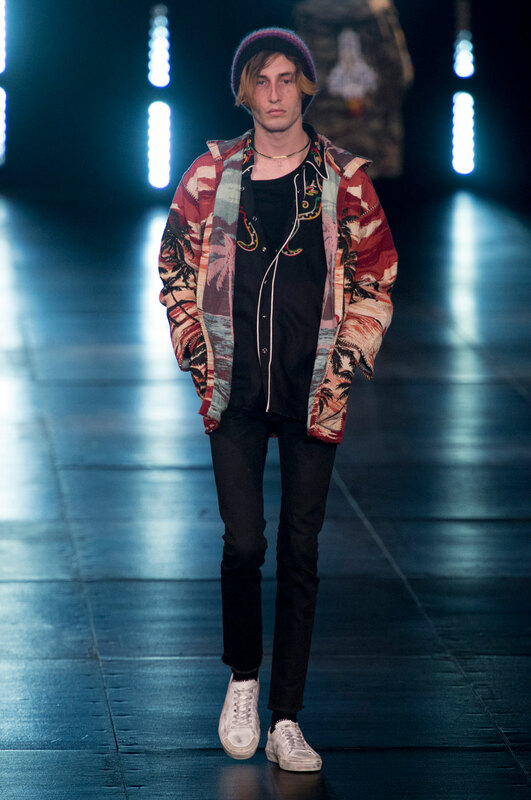 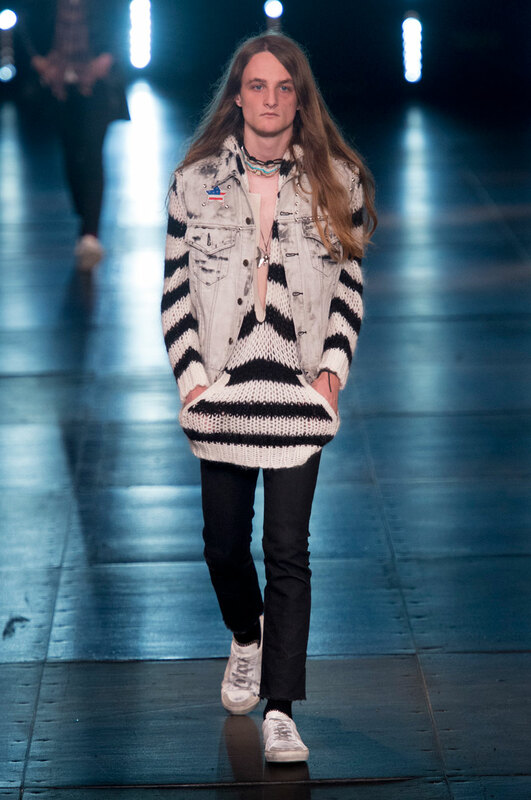 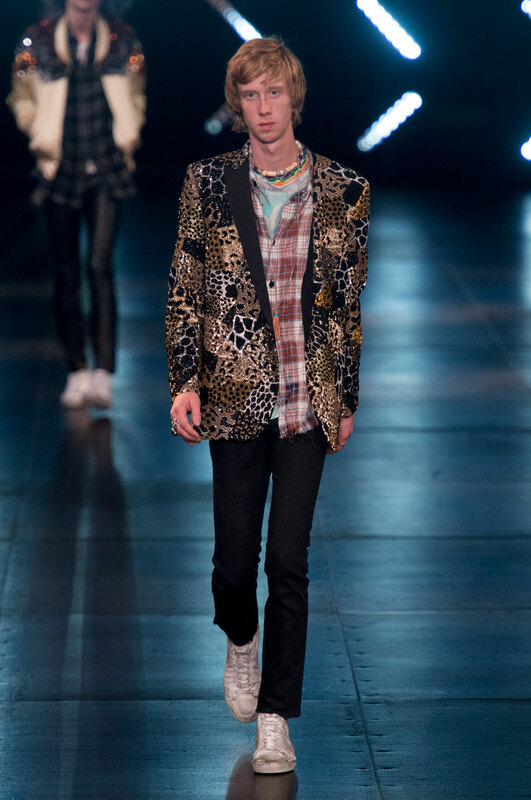 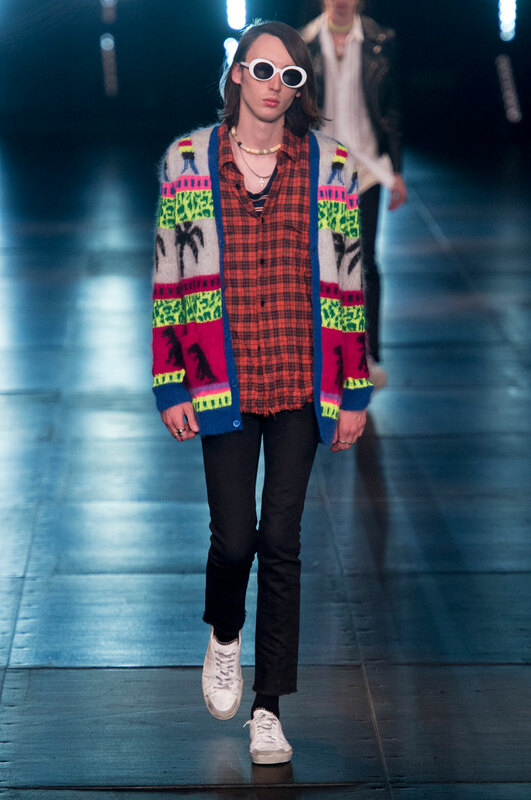 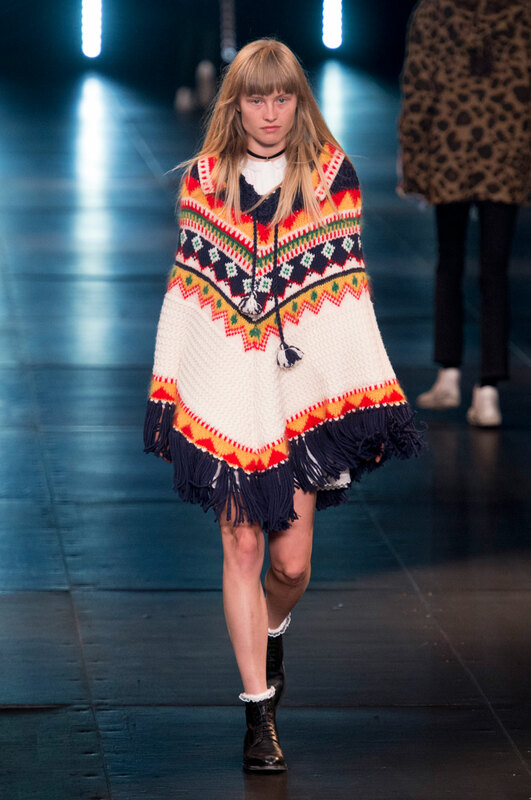 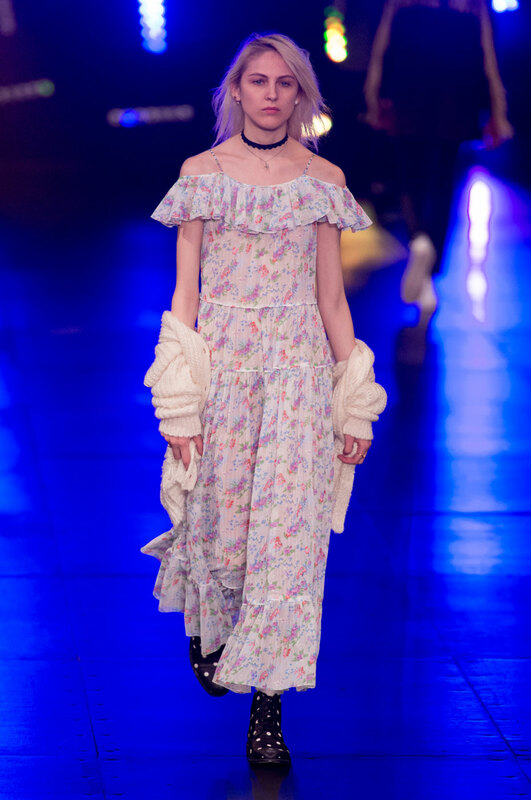 The exciting garments were reminiscent of the American subculture group Hippies; with the fringe detail, longer shabbier haircuts and conflicting garish colours and patterns. 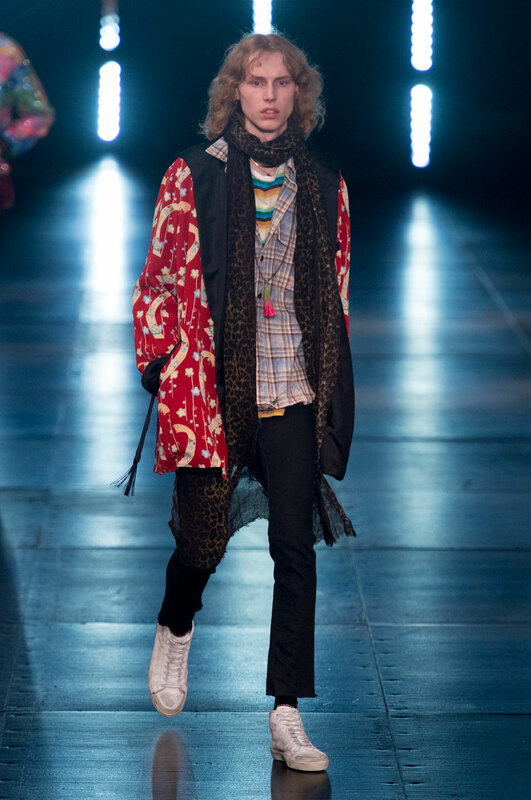 The accessories used in the collection also provide references to the Hippie element, with the use of oversized, round, brightly coloured sunglasses. 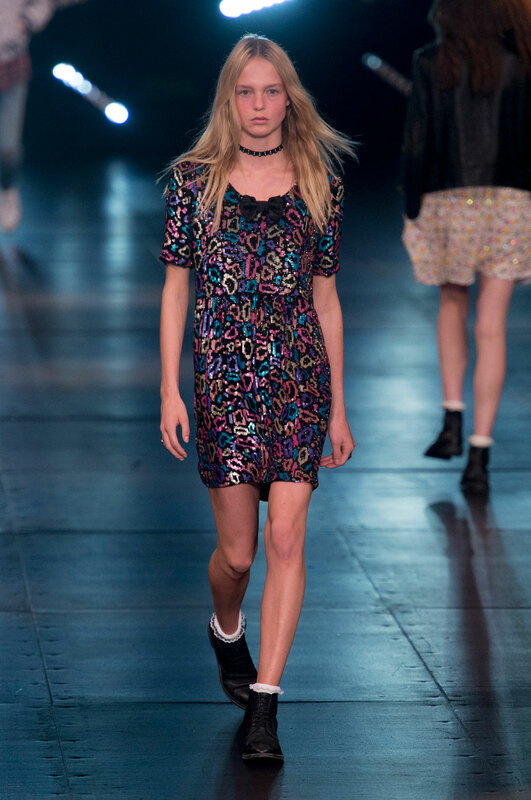 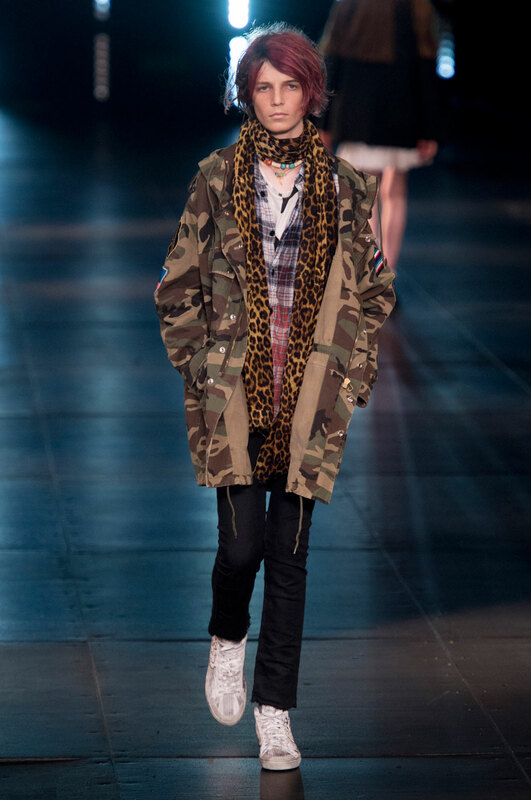 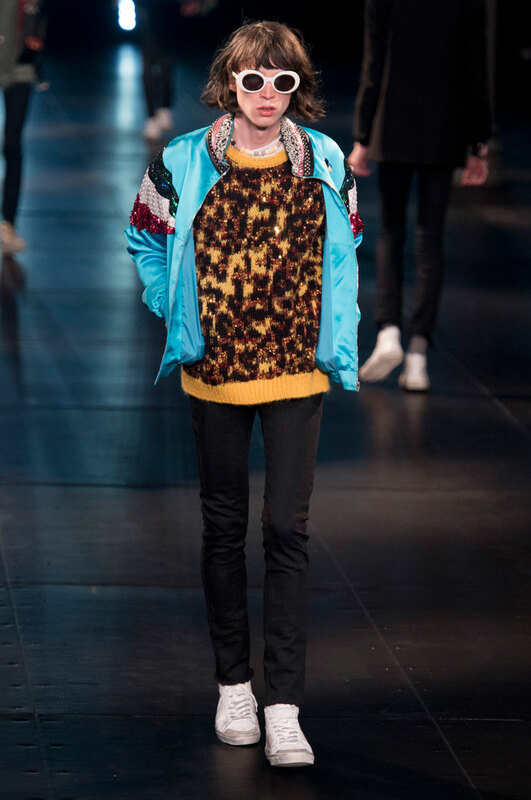 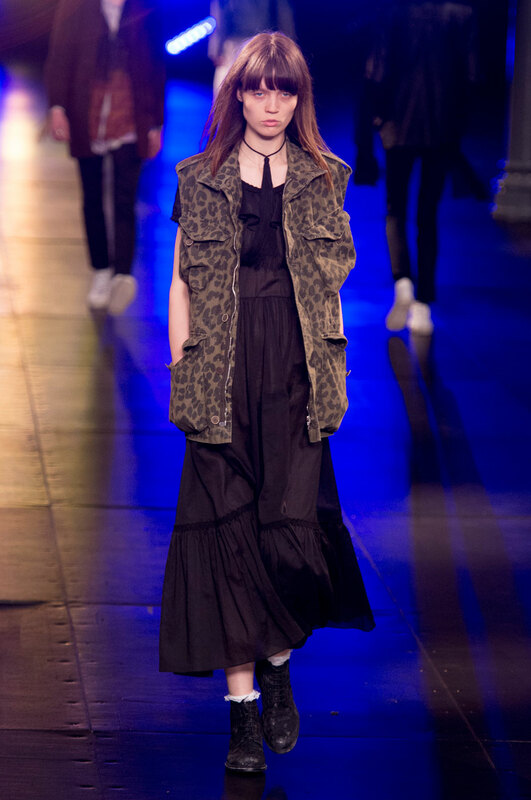 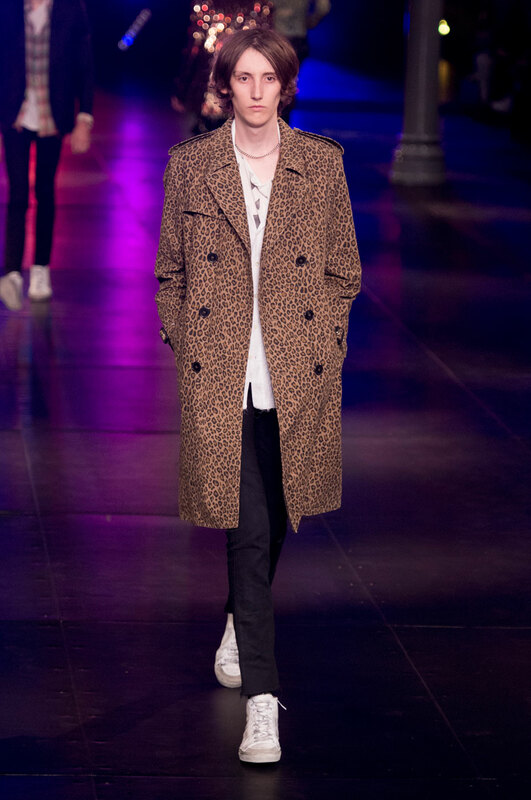 The collection is one of the only shows this season that hosts an array of patterns including camouflage, leopard print and tartan to name a few. 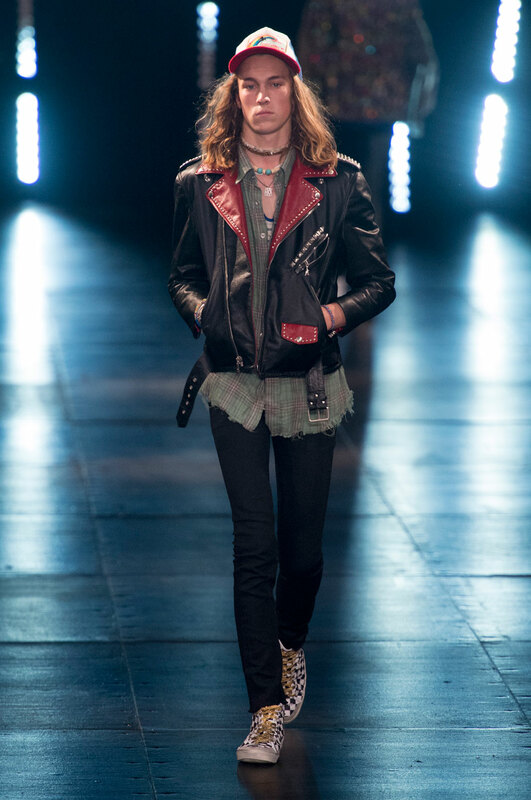 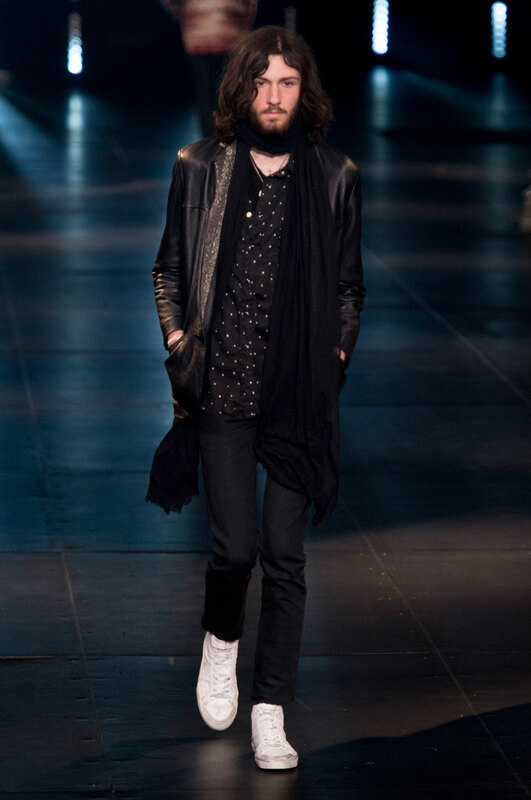 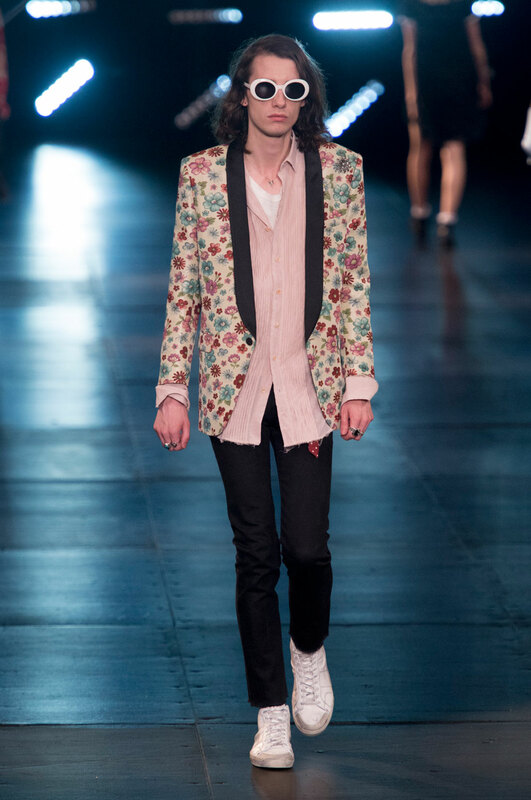 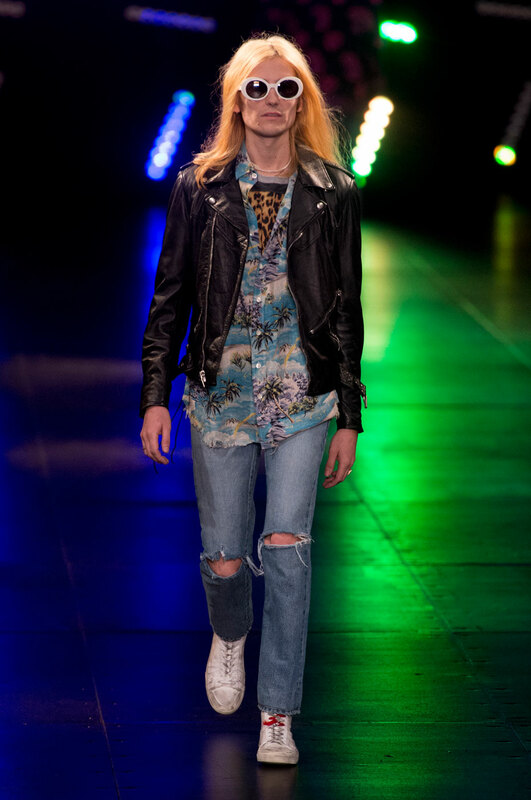 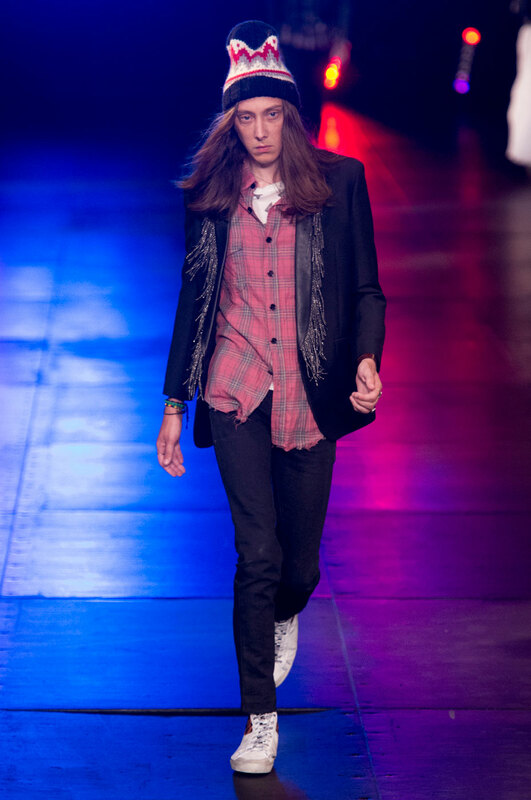 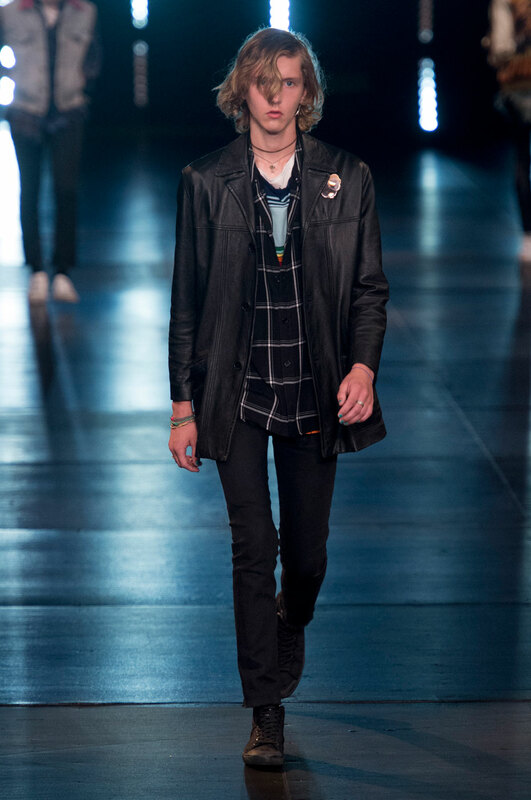 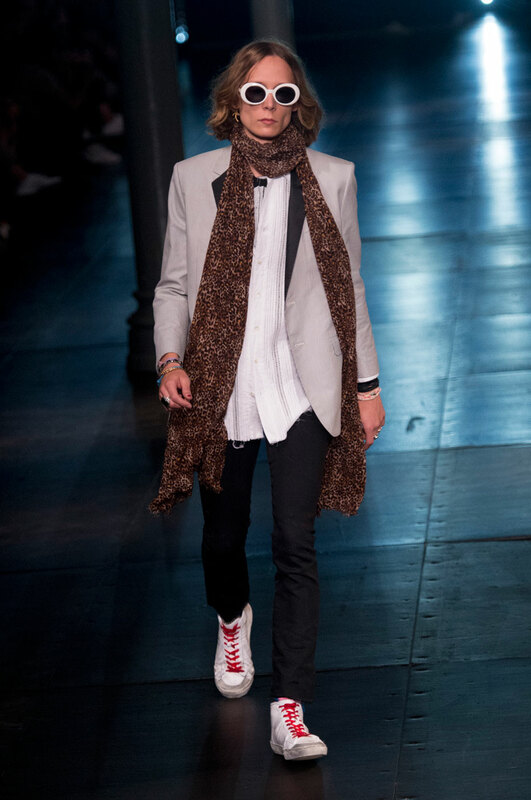 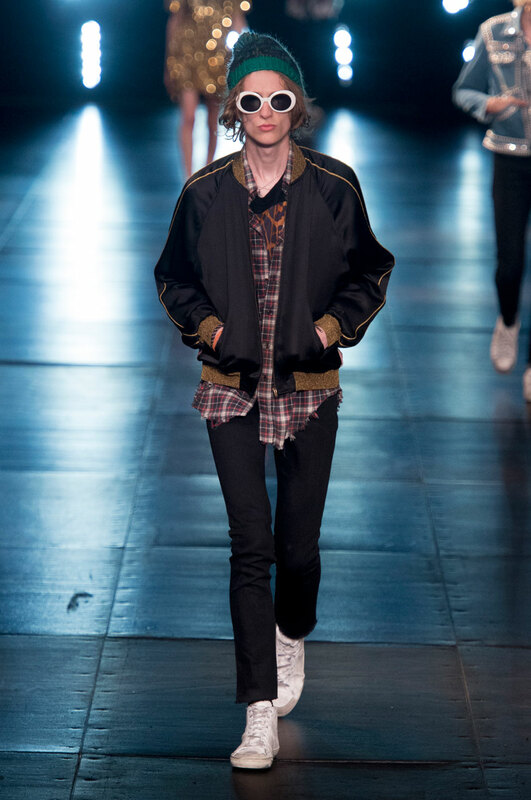 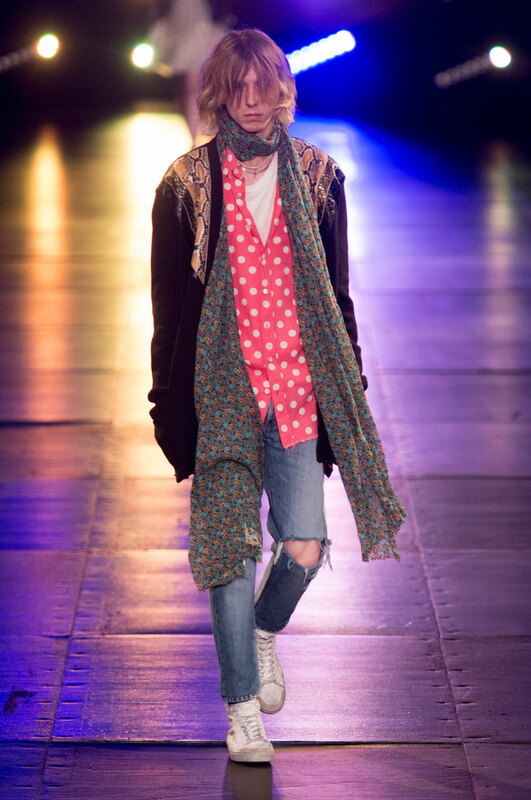 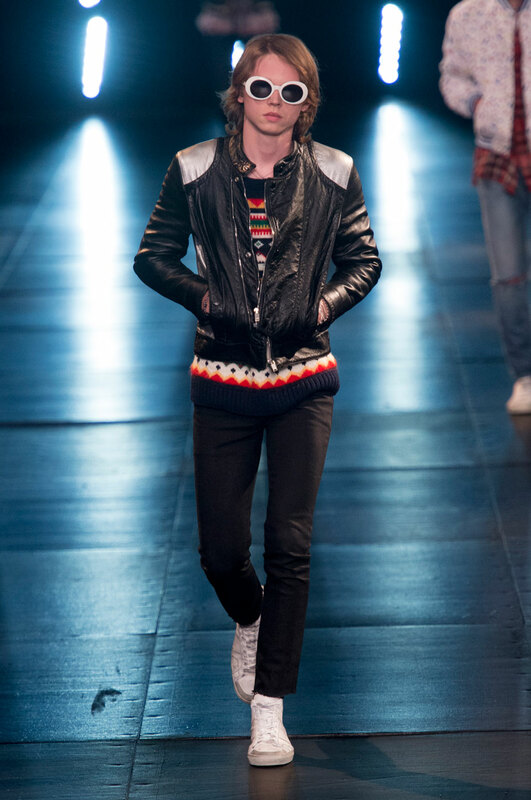 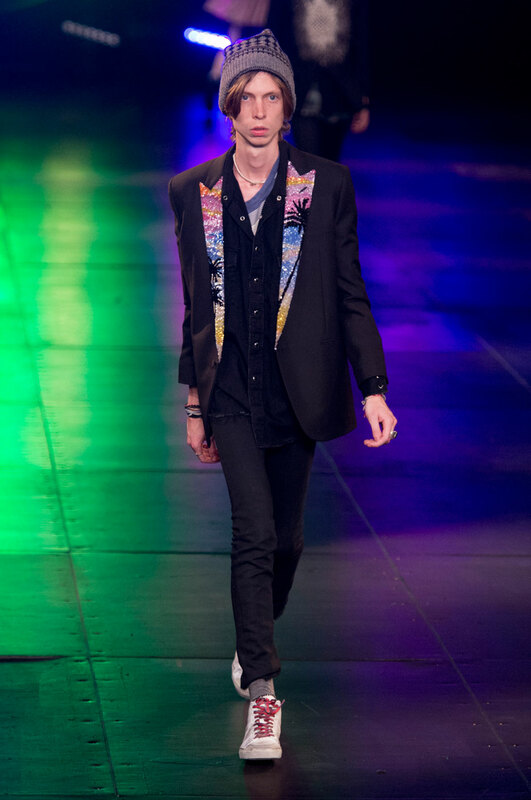 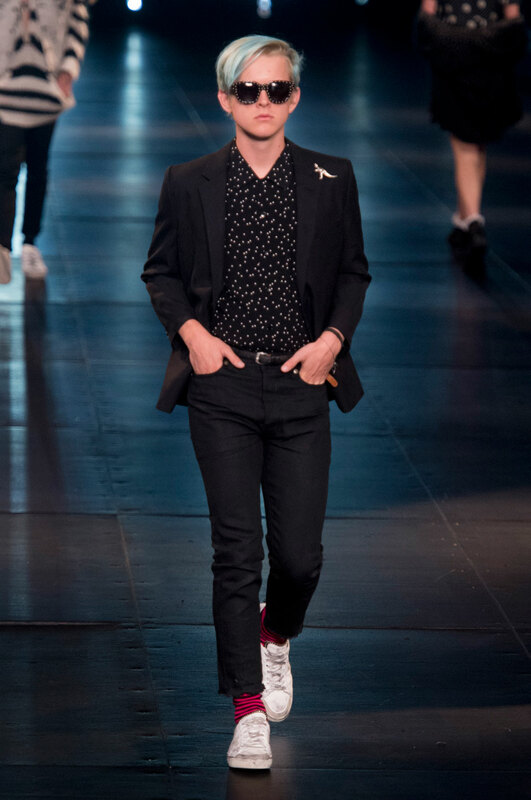 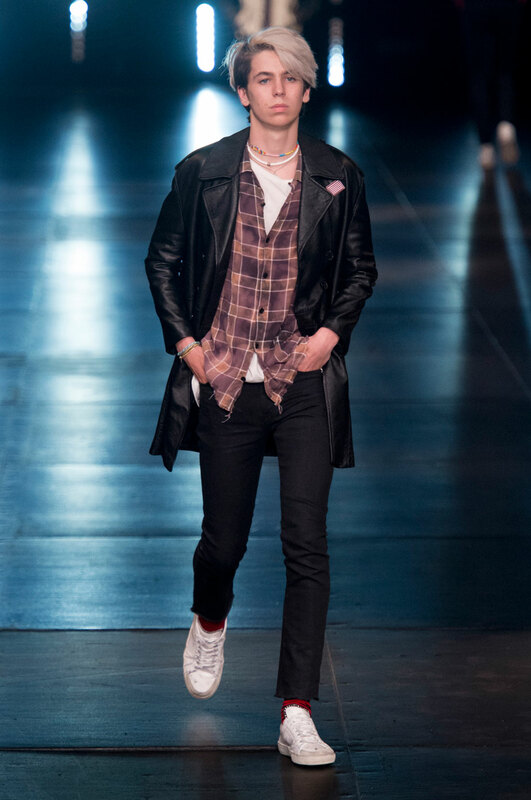 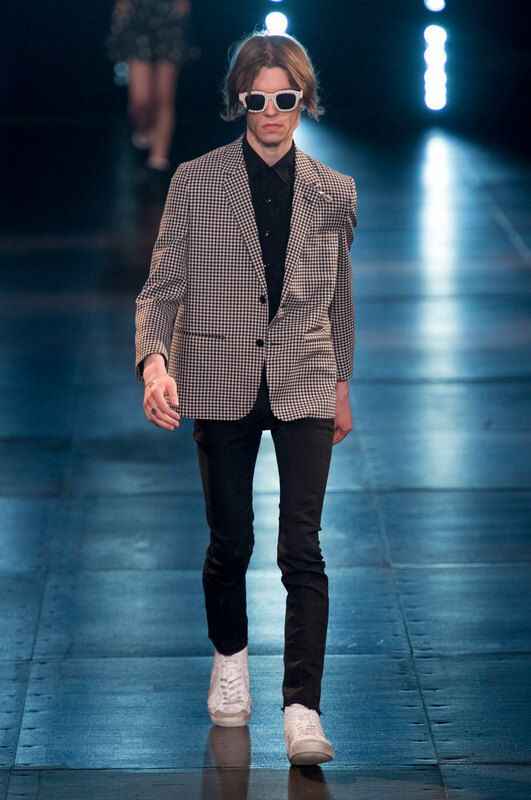 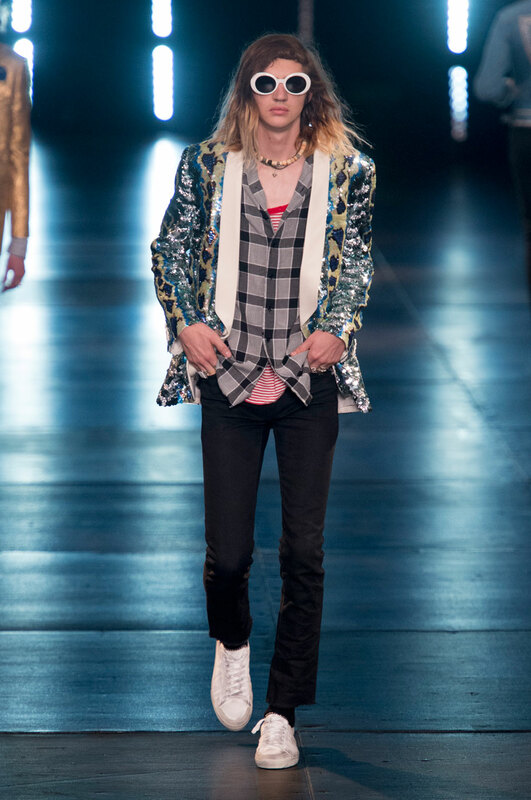 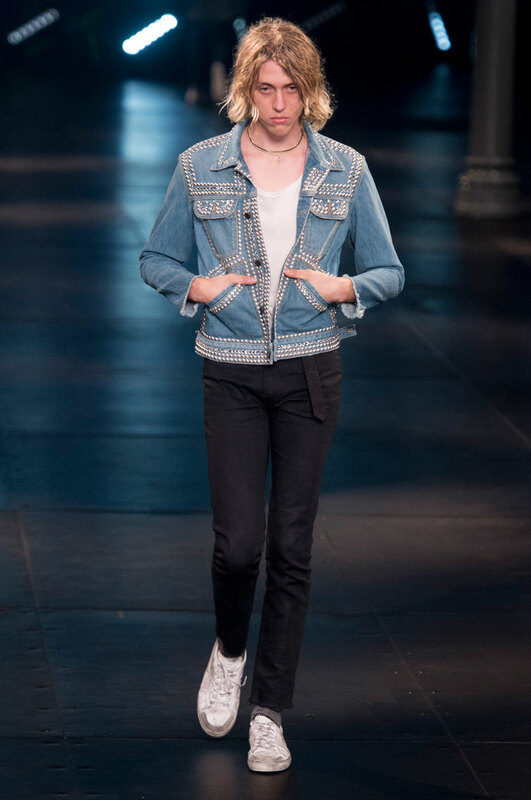 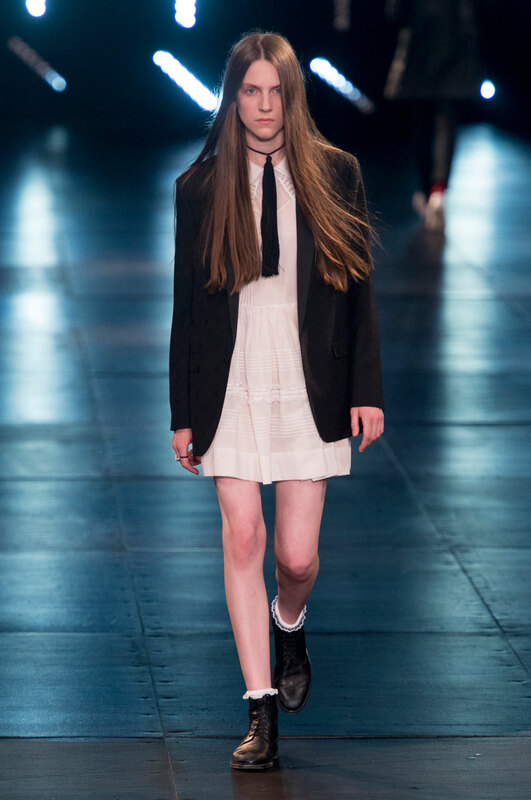 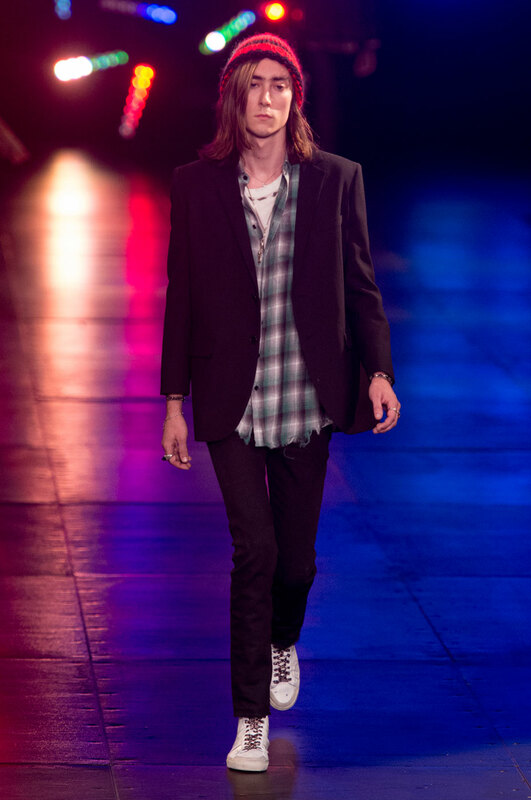 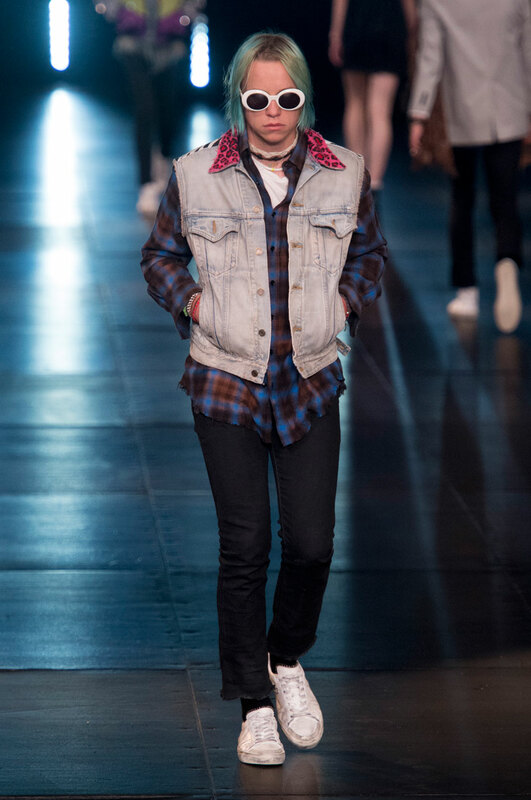 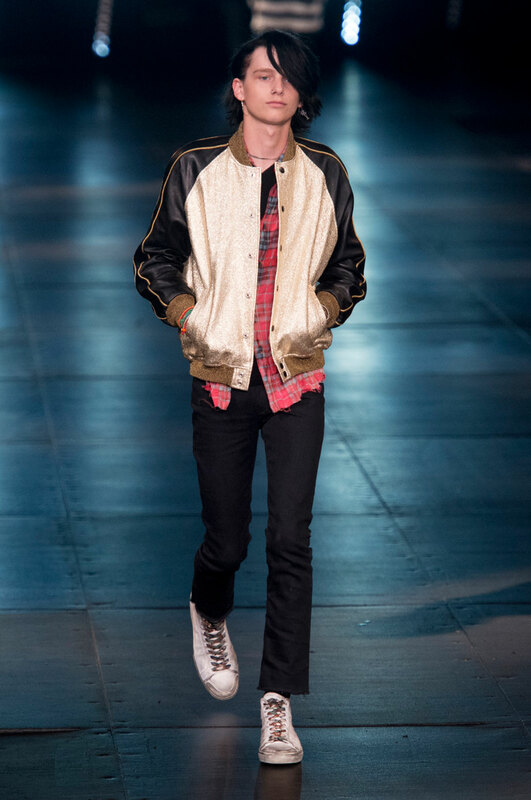 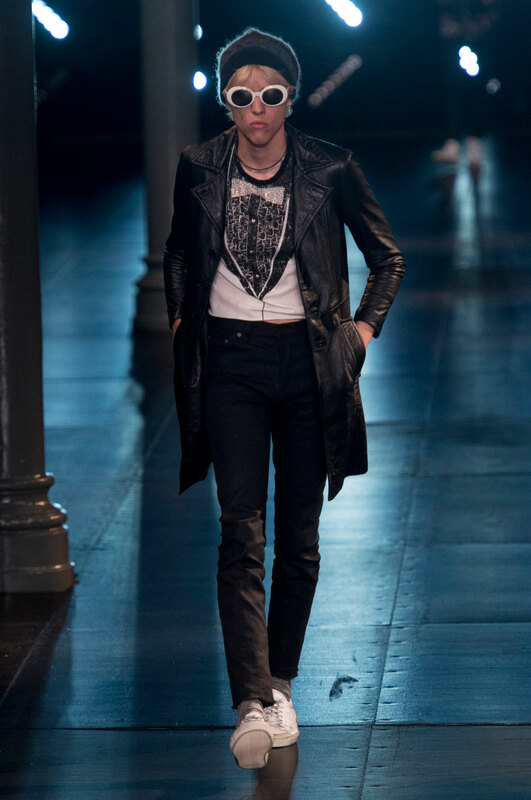 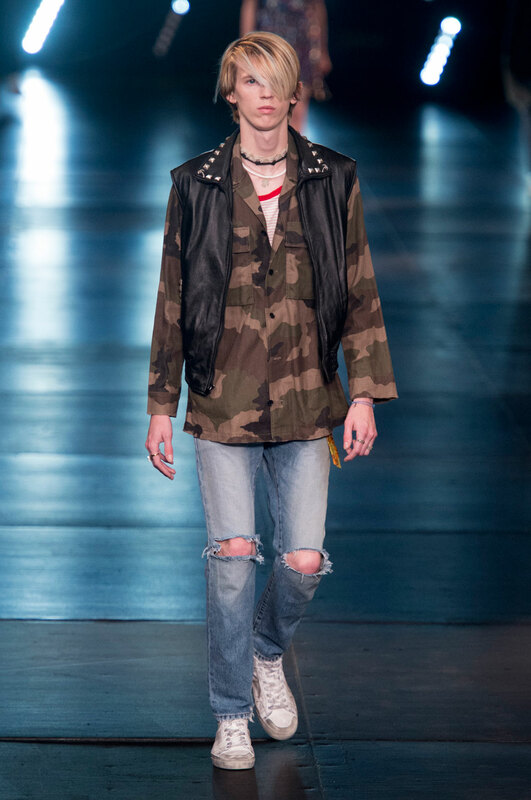 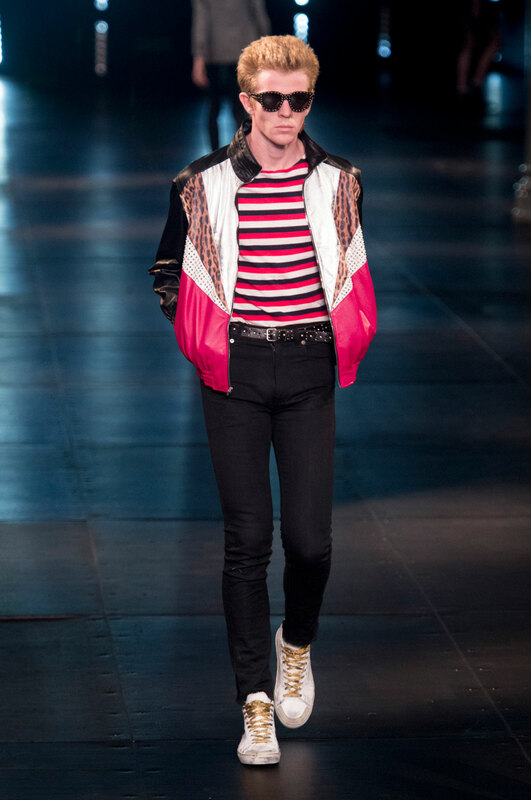 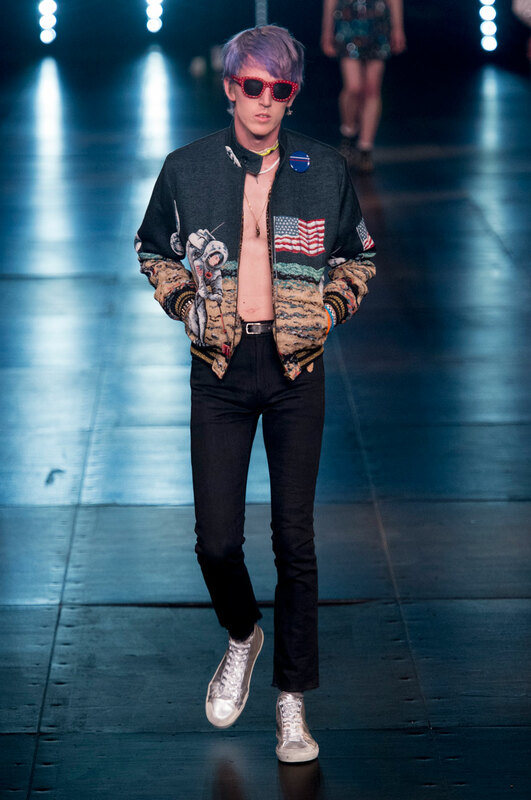 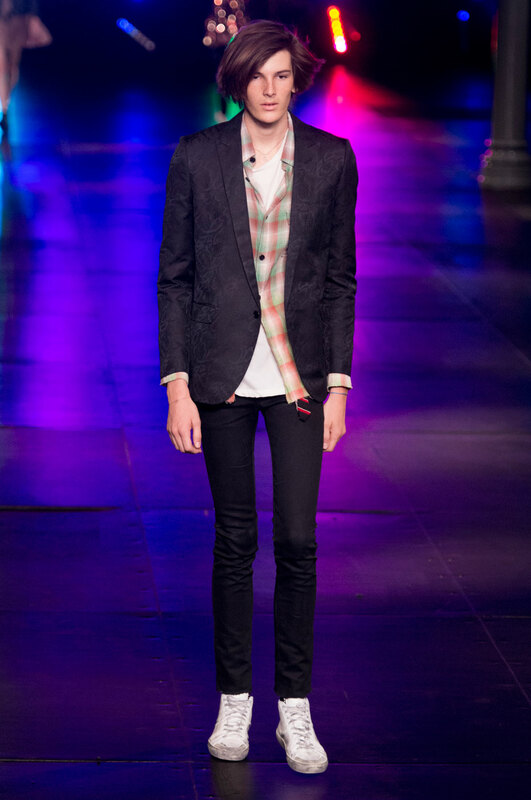 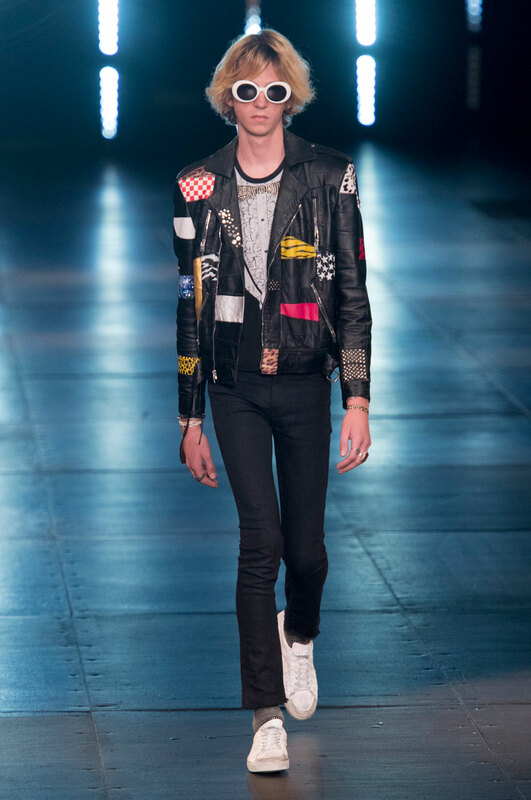 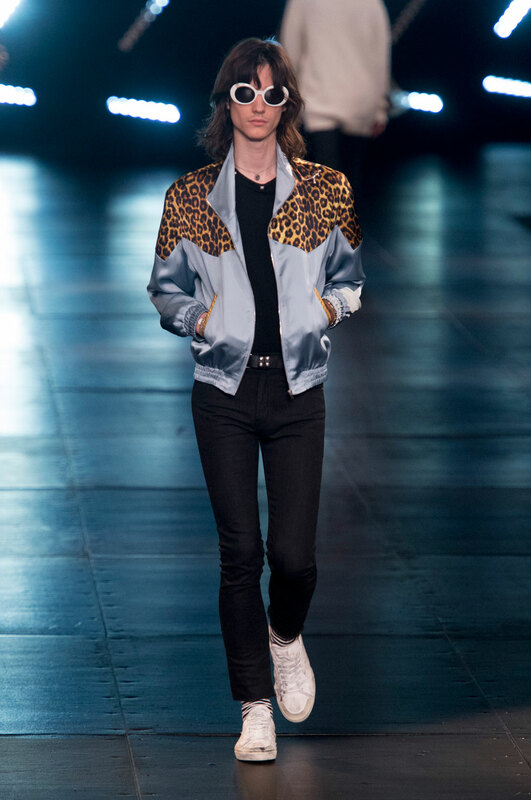 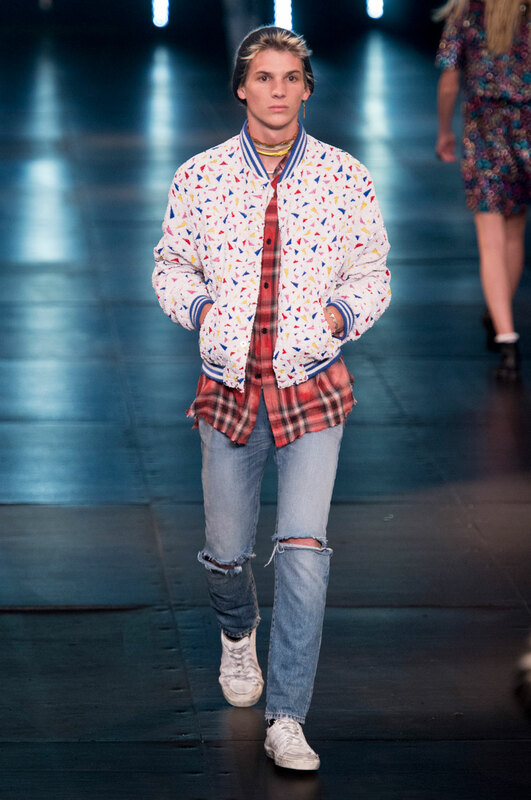 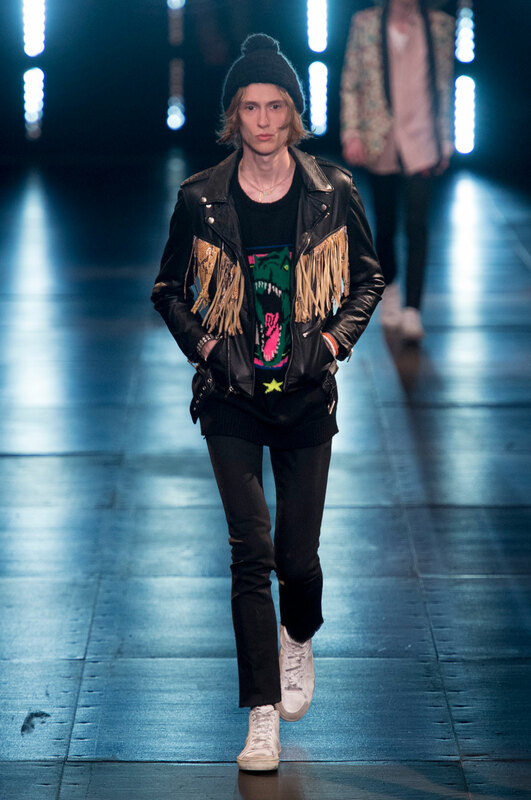 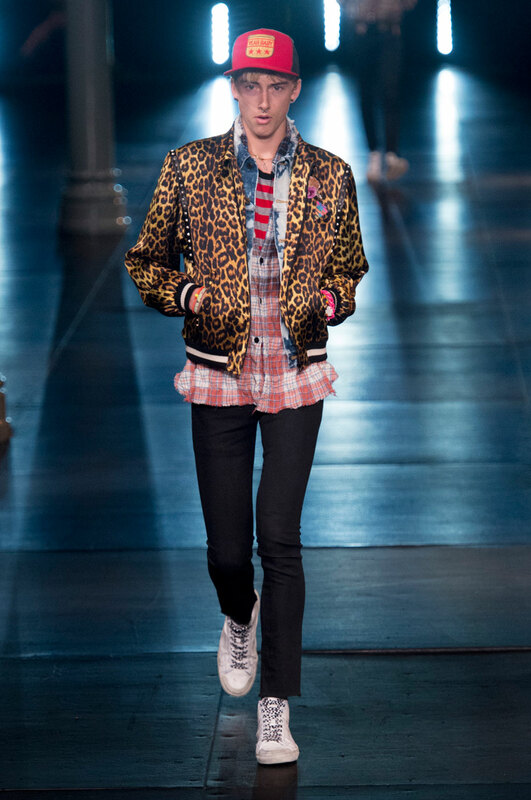 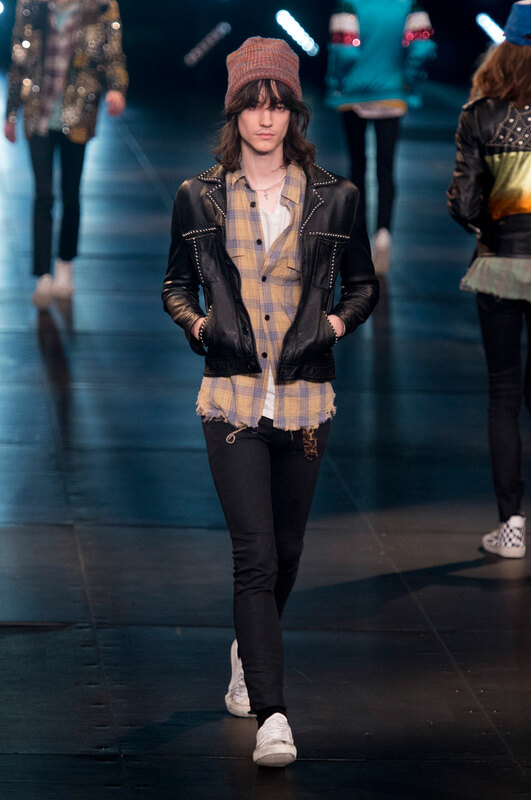 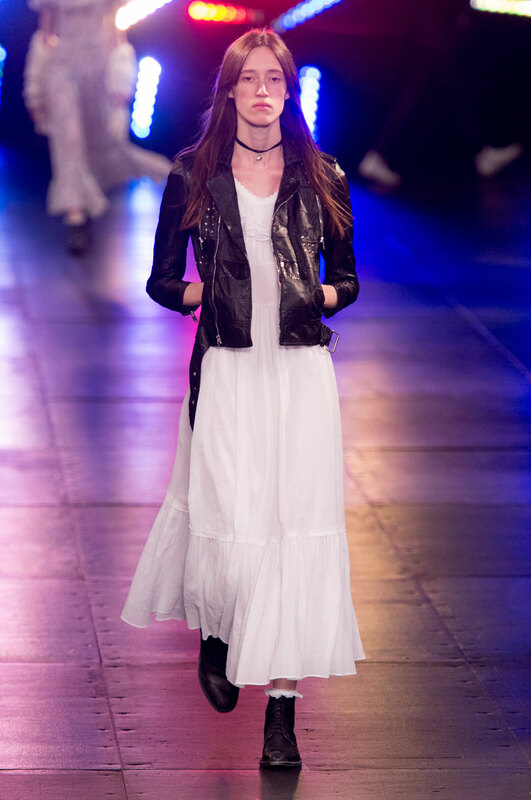 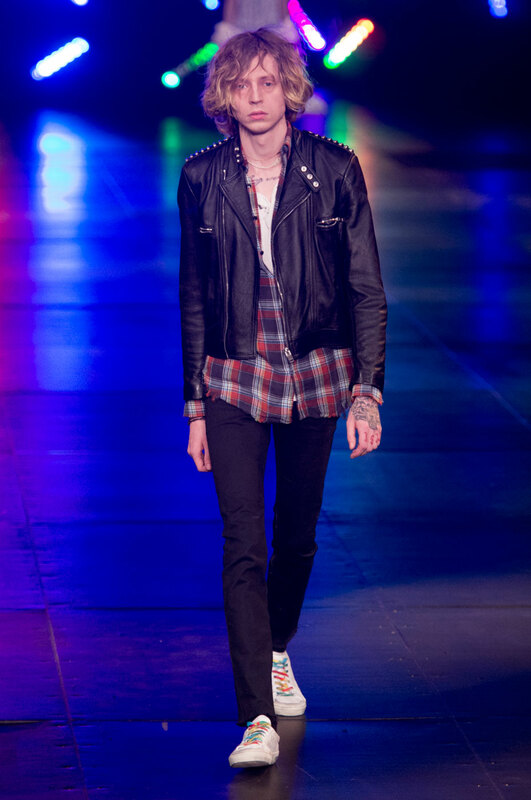 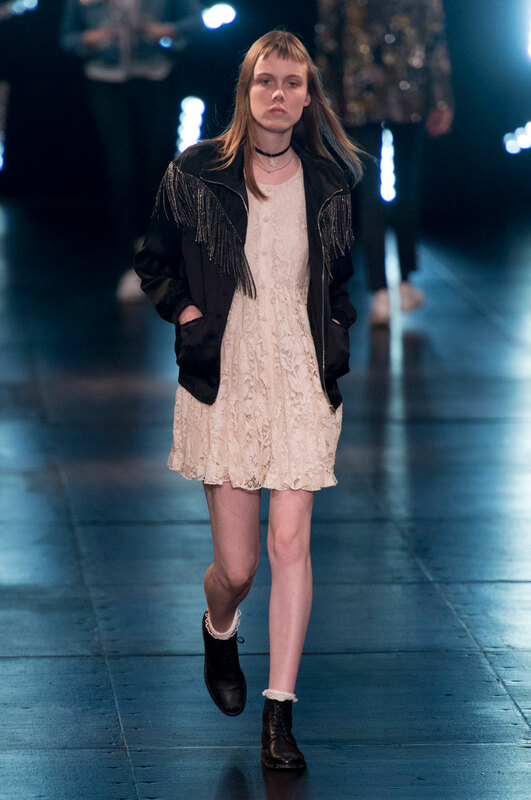 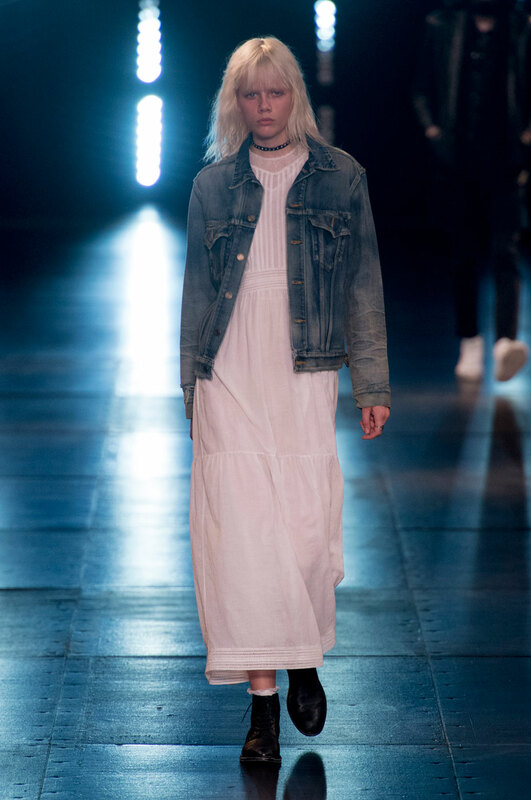 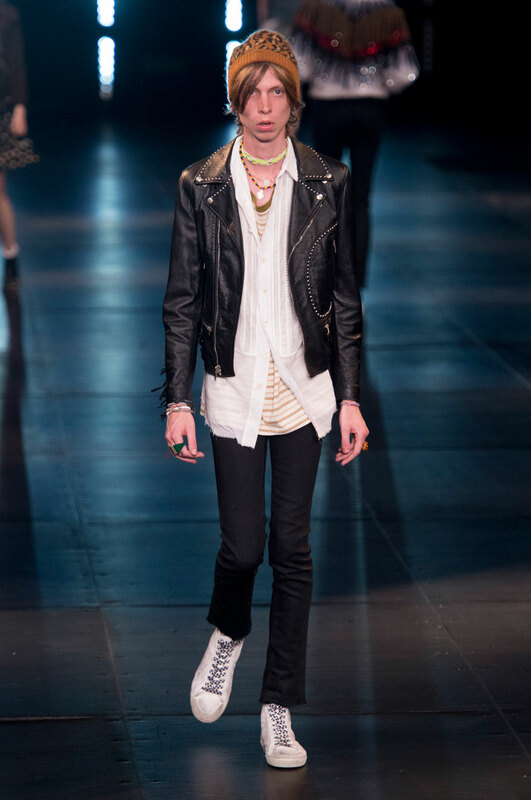 The relaxed vibe of the show comes from the introduction to straight legged, light denim, ripped jeans, which over a comfortable alternative to formal trousers.